A world-renowned artist, Olafur Eliasson has created large-scale installations and designs that have contributed to redefining the essence of cities and communities. Some of his major works include The New York City Waterfalls, Ice Watch, The Weather Project, and Riverbed. Since 2012, he has co-led Little Sun, a social business and global project addressing the need for providing light in a sustainable way that benefits communities without electricity, creates local jobs and generates local profits. Installation artist Olafur Eliasson was born in Copenhagen in 1967 to Icelandic parents. He is best known for creating a giant sun in Tate Modern’s Turbine Hall in 2003, viewed by more than 2 million people, and for making four dramatic waterfalls in New York harbour in 2008. 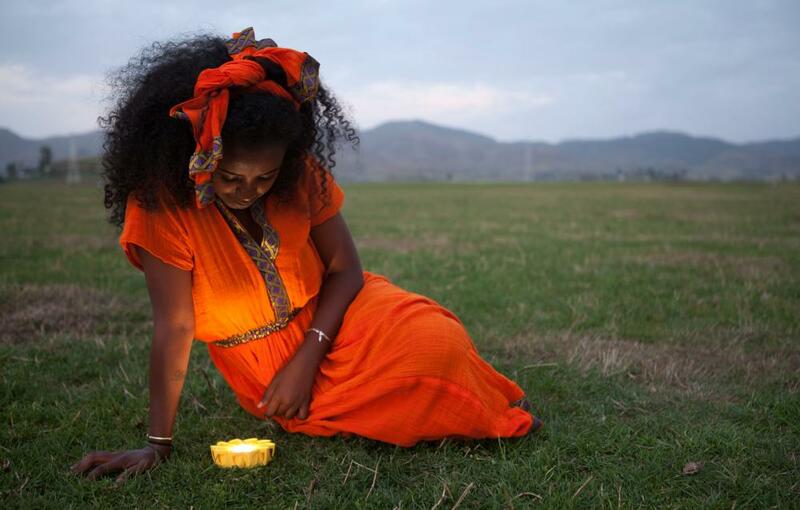 In 2012, he launched Little Sun solar-powered lamps for areas of the globe with no electricity (though they have also proved popular at music festivals in the developed world). This month, he releases the Little Sun Charge, which uses solar energy to power mobile phones. How successful has the Little Sun lamp been? Right now, for every lamp we sell in on-grid areas of the world – where people have access to power, like the UK – we deliver two lamps at cost price in, for instance, rural Africa. And in May, we expect to cross the half-a-million-lamps line. That’s our next little target. There’s an alarming statistic that an evening of breathing in the emissions from a kerosene lamp is similar to smoking two packs of cigarettes. Not to mention the CO2 that kerosene produces. Do you feel Little Sun is making a difference yet? The new Little Sun Charge will sell in developed countries for ₧99. How will it be affordable in Africa? Of course it’s €99 or £78 when you buy it in Europe or the UK. That money goes to paying shipment and import taxes, so that we can drive the charger into the hands of people in Africa at around US$22-24. Phones, communication, the internet is exploding on the continent and this is so exciting. 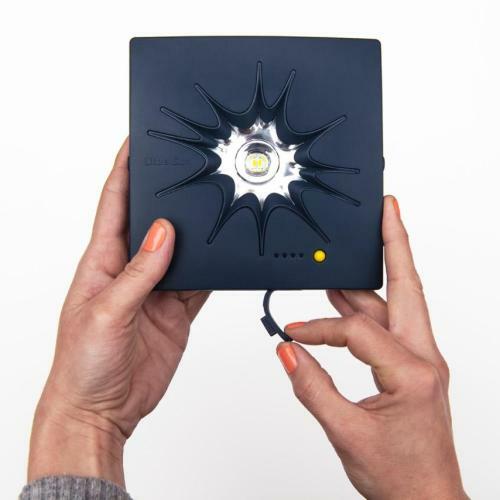 Every single person we’ve shown the solar lamp to says, “We love the fact it’s affordable, but we’d pay almost anything to charge our phones.” Because if the light goes out, you can still light a candle or turn on the petroleum light. But if you lose power, you cannot charge your phone. There’s nothing you can do: if the power’s gone, the phone is dead. You’re primarily an artist, so why did you want to get involved in a philanthropic project like this? I was fortunate to enjoy a lot of exposure in that incredible resource-full part of the art world, where, let’s face it, there’s quite a bit of wealth. So on one side I felt privileged and yet I also wanted to see if I could test my creative muscle and make it useful in other situations. And, frankly speaking, I say that Little Sun is a work of art that works in life. How does your work with Little Sun connect with, say, a bridge in Copenhagen or the sun at Tate Modern? Or doesn’t it? Oh, it absolutely does connect. First of all, because I made both! That’s a nice connection. But secondly, the Tate Modern and the bridge for that matter, it’s about public spaces, it’s about social spaces. It’s about exercising diversity and inclusion at the same time. When I did the project at the Tate, it was about this feeling where I am reconnected somehow, but not to some God, not to some external mystic trajectory. I am reconnected to the other people. There’s a strong environmentalist element in your work. How optimistic are you that the message is getting through? Well, I’m a part of a dialogue. 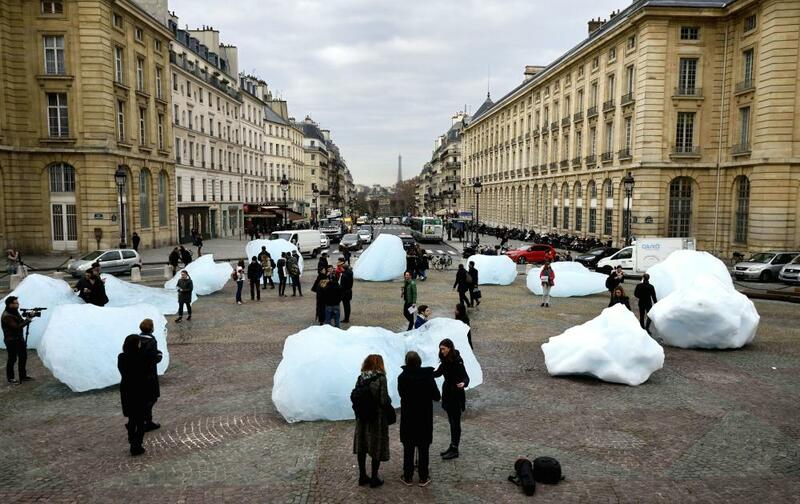 That’s why I brought the glacial ice from Greenland to the 2015 United Nations climate change conference in Paris [Ice Watch], so that people could put their hands on the ice. I was being very banal but they could literally feel on their own skin the water the politicians are actually talking about. Why do you say “banal”? I love it when people say, “Oh, I could have done this…” because that means that at least the thought that they might do something like that is not impossible to them [laughs]. There’s an archery target in your studio in Berlin. Can you explain what role that plays in your creative process? Ha! Well, I have been practising archery for some years on and off, in my own hobbyistic, inconsequential way. And occasionally I ask the target – where the bullseye is yes and the rest is no – whether I should begin a project or delay. Then it’s up to my attention to drive the yes. Generally I try to follow it, because sometimes your wish has a superficial nature. Because you sometimes say yes to be nice. So it’s a way for me to test, “Do I really mean it?” And occasionally I shoot a few extra arrows just to check. Do you plan any more Little Sun projects? Oh yeah, the project is for sure evolving. We are currently getting great advice from MIT, which has taken Little Sun in as a sort of methodology study object. So we have lots of ideas… Our challenge is that we have too many ideas.